Voodoo Lab Right Angle To 2.5mm Right Angle Cable 18 Inch. This is a widely used cable with a 2.1mm right angle and 2.5mm red right angle barrel connector with reverse (center positive) polarity. It is designed for many types of pedals and switchers including the Eventide Factor, some Electro-Harmonix, Voodoo Lab Pedal Switcher and Control Switcher. It has a length of 18 inches/ 46cm. 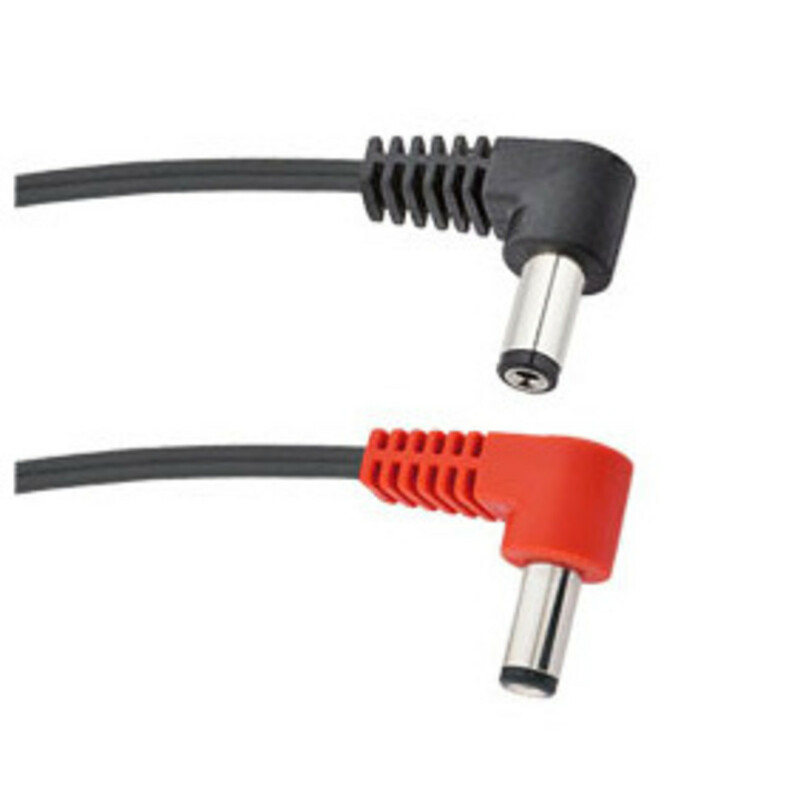 This cable type is essential to power your devices, for a very cheap price.